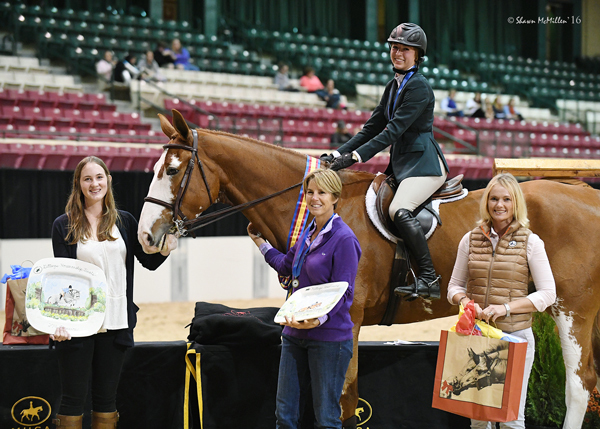 Prize List Now Available for 2017 WIHS Regional Horse Show & USHJA Zone 3 Championship. Top local show offers chance to qualify for WIHS at Capital One Arena. WASHINGTON, August 31, 2017--The Washington International Horse Show (WIHS) is pleased to announce the prize list is now available online for the 2017 WIHS Regional Horse Show & USHJA Zone 3 Championship, presented by The Linden Group at Morgan Stanley, taking place Oct. 20-22 at Prince George's Equestrian Center in Upper Marlboro, Md. 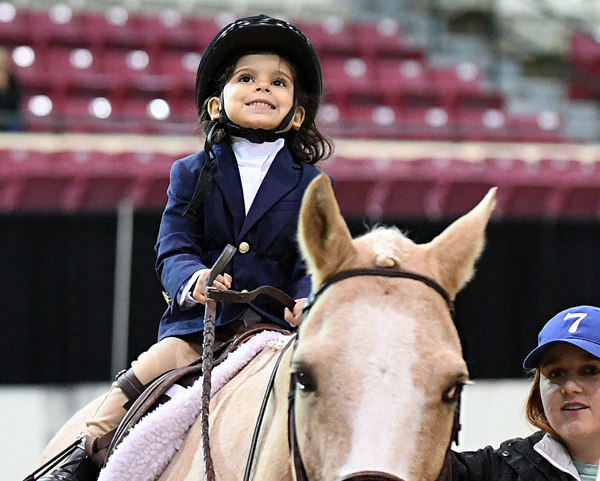 A favorite local tradition for many competitors and their families each fall, the WIHS Regional Horse Show also serves as a qualifier for the Washington International Horse Show at Capital One Arena in Washington, D.C., the following week. Qualified Regional riders may compete in the WIHS Regional Hunter Finals for Horses and Ponies, presented by The Linden Group at Morgan Stanley, on Sunday, Oct. 29, as well as the WIHS Championship Finals for Children's and Adult Hunters and Jumpers on Tuesday, Oct. 24 and Wednesday, Oct. 25. "I've always treasured my time with horses," said Sue van der Linden of The Linden Group at Morgan Stanley, a longtime supporter of the WIHS Regional Horse Show and presenting sponsor for the second year. "This is a great opportunity to encourage others to make the most of their rides, too. Best of luck and congratulations to our horses and riders, and a heartfelt "thank you" to the parents, spouses, coaches, and friends who support us in our equestrian dreams." • The MHSA Gittings Horsemanship Finals featured on Friday at 6:00 p.m. 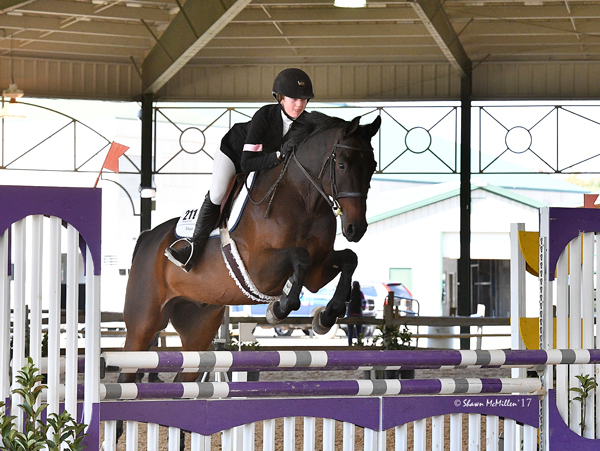 The WIHS Regional Horse Show is proud to host the USHJA Zone 3 Championship again this year on Sunday, Oct. 23. Letters of invitation to compete in the USHJA Zone 3 Championship will be emailed/mailed in mid September. Approximately the top 18 horses in each division, based on total USEF zone points, will be invited. Exhibitors will be given one week to accept the invitation. If invitations are not accepted, additional horses will be invited. Entries will be accepted electronically through www.HorseShowing.com. 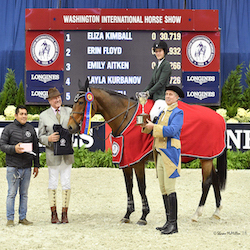 The 59th annual Washington International Horse Show will take place Oct. 24-29 at Capital One Arena (formerly Verizon Center) in Washington, D.C. Tickets are available on Ticketmaster.com and at Capital One Arena Box Office. Established in 1958, the Washington International Horse Show is one of North America's most prestigious and entertaining equestrian events attracting more than 26,000 spectators annually to Washington, D.C., for Olympic-level competition plus community and charity events. More than 500 top horses and riders arrive from all over the globe to jump for more than a half a million dollars in prize money. Highlights include the $130,000 Longines FEI World Cup™ Jumping Washington for the President's Cup, presented by Events DC, the $25,000 Puissance high jump and $50,000 Speed Final on Military Night and Kids' Day, a free, fun and educational community event. WIHS, an official USEF Heritage Competition, is rated CSI4*-W by the Fédération Equestre Internationale, the world governing body for horse sports. The Washington International Horse Show Association, Ltd. is a 501(c)(3) nonprofit charitable organization based in Washington, D.C. Visit us at www.wihs.org.